College Day 4 & Job Interview - Outfit & Makeup! Today I had a job interview for Urban Outfitters, so I wanted to wear an outfit that portrayed my style and also I wore some Urban Outfitters items to show my interest in the store! Excuse the poor lighting/ dodgy pose - it was 7am, and I was wrecked! 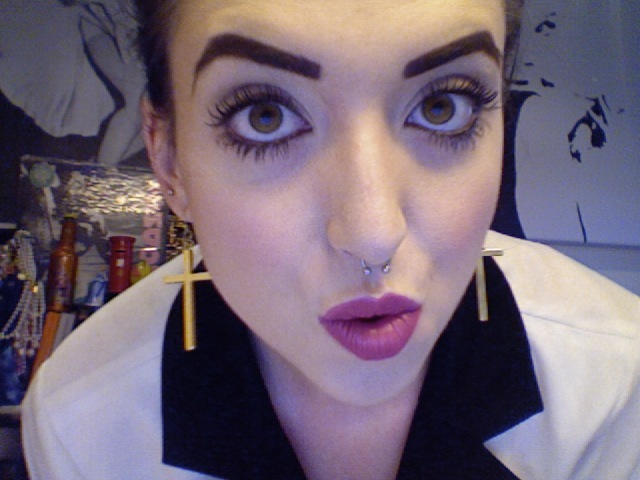 I have the usual shizzle on my eyebrows and face. I didn't wear my eyeliner flicks as I was too tired, and was stressed out enough as it was and my flicks always go wonky when I stress! 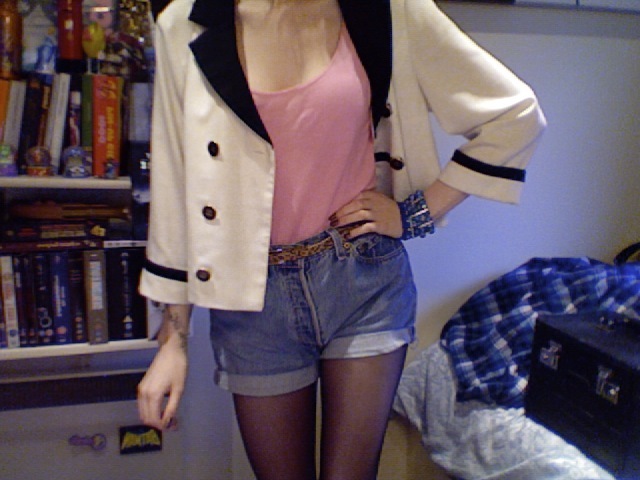 Blazer - Lux, from Urban Outfitters. Vest - Topshop. Vintage Levis - Urban Outfitters. Leopard-print belt - ASOS.